After dealing with a market that’s been flooded with low cost solar panels for over two years, solar panel makers are now starting to reverse that trend. First Solar (s FSLR) is sold out of its solar panels into the third quarter of the year, company executives said Monday. The announcement came after SunPower (s SPWR) executives said last week that demand in the hot Japanese market exceeded what the company could deliver during the first quarter. Last month, market research firm IHS reported that the average wholesale prices for silicon panels delivered to Europe rose for the first time in several years. The shift has come at a heavy cost to solar manufacturers like First Solar and SunPower, however. For over two years, solar panel makers have had to reduce production or even shutter factories while posting losses quarter after quarter. Dozens have filed for bankruptcy, including Germany’s Alfasolar, as reported by PV Magazine Monday. The bankruptcy of Suntech Power’s main subsidiary in March rattled the industry, particularly those who have bought the Chinese company’s solar panels. First Solar, which makes solar panels and develops solar power plants, closed its big manufacturing plant in Germany last year and suspended plans to build new factories in Vietnam and Arizona. Those moves as well as First Solar’s efforts to reduce its spending on administration and, to a lesser extent, research development and sales, have allowed the company to survive the downturn. First Solar brought in new top executives over the past year and presented a convincing plan last month for improving its technology and sales in emerging markets for the next several years. For the past three years, First Solar’s executives have discussed in earnest the need to grab market share in emerging markets such as India, China, the Middle East and Latin America. Germany was once its largest market, but the country, which has steadily reduced its government incentives for solar energy generation, accounted for just three percent of its sales in 2012, according to First Solar’s 2012 annual report. In an earnings discussion with analysts on Monday, First Solar’s CEO Jim Hughes pointed out that the company has expanded its market reach since early 2012. Back then, it was talking mostly about sales in the United States, Canada, India, Europe and Australia. Its purchase of a Chilean solar power developer earlier this year created a new talking point about Latin America. 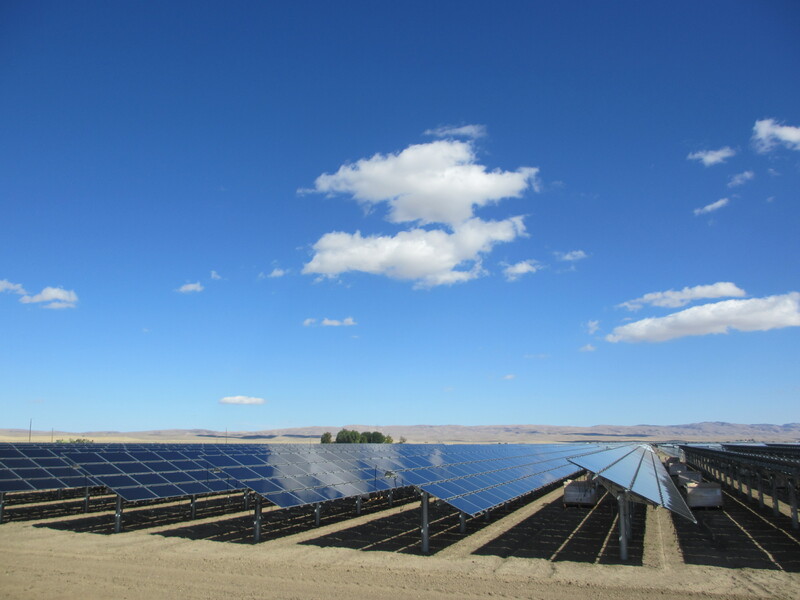 The Chilean company was developing about 1.5 GW of projects when First Solar announced the acquisition. Overall, First Solar is working on about 1.8 GW of projects in Latin America, though those projects are under development and the company isn’t promising that all of them will succeed. Hughes also announced that the company has signed a memorandum of understanding with the Chinese city of Ordos in Inner Mongolia for the second phase of a 2GW plan that it first announced in 2009. The second phase will see First Solar supplying 300 MW-500 MW of solar panels, and construction could start in the second half of 2014. The first phase, a 30MW project, is set to start construction in the third quarter of this year, he added. Meanwhile, the company is building some of the world’s largest solar power plants right here in California. One of them, the 230MW Antelope Valley Solar Ranch One in Los Angeles County, has run into “weather-related delays” during the first quarter of this year. That partly contributed to lower earnings from the previous quarter. Completion of the project is now set for the end of this year rather than the second quarter. The company generated $755 million in sales for the first quarter of this year, down $320 million from the previous quarter but up $258 million from the year-ago period. It posted $59.1 million in net income, or $0.66 per share for the first quarter, $154.2 million in net income, or $1.74 per share for the fourth quarter of 2012. It reported $449.4 million, or $5.20 per share, in losses for the first quarter of 2012. Most manufacturers of solar panels will provide an estimate of the energy payback time for their modules – it’s usually around 1.5 years for silicon PV. PV panels also have a lifetime of 25 years, not 10. They can be expected to lose around 1% of their power output per year during this period. It also depends upon where the solar panels are. Certain locations in the US for example a home installation could be paid off in six months even with the lower rate power companies pay for the power generated. Yeah the power companies don’t want to pay the same price they charge you for power instead they want to pay a 1/4th to an 1/8 for the power you generate from solar.